How to pick your cut, color, clarity and carat. Diamond jewelry is an acknowledgment and lifelong reminder of the precious moments in our lives, a sparkling testament of someone’s love and commitment, a personal reward for a great accomplishment and an enduring symbol to be treasured and celebrated. Beautiful sentiments supported by Clean Origin’s commitment to never do any damage to our world and our societies by giving you the choice of selecting one of our Lab Created Diamonds. 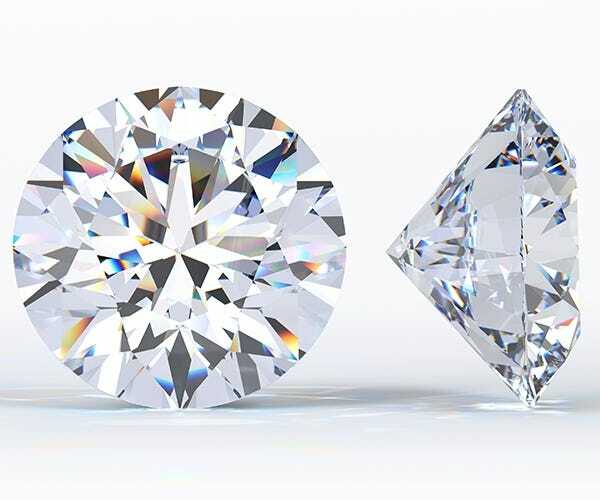 All diamonds, whether mined or lab created, are graded on quality using a universal system that assesses the stone on its color, clarity, cut and carat-weight; this grading system is commonly known as the ‘4 Cs’ of diamonds. This grading system is applied only to diamonds, and never to a diamond simulant such as cubic zirconia or moissanite. Every Clean Origin lab created diamond, no matter how large or small, has a set of unique characteristics that determine its value and map its journey to your jewelry. Although not one of the ‘4 Cs,’ the shape of the diamond, along with the carat size, is probably one of the most personal considerations of the entire selection process. Diamond shape is an indication of individual aesthetics and specific taste. The most popular shape for an engagement ring is the round brilliant — this shape provides the greatest level of sparkle and brilliance of all the diamond shapes and gives a softer statement on your finger. The princess cut is the second most popular shape and provides a more architectural feel to your ring. However, the chosen shape of your diamond will no doubt change based on your personal preference, price requirements, the style of jewelry, diamond quality, among other factors. Other diamond shapes include pear shapes, ovals, emerald cuts and cushion cuts. When buying, be careful not to confuse cut for shape. 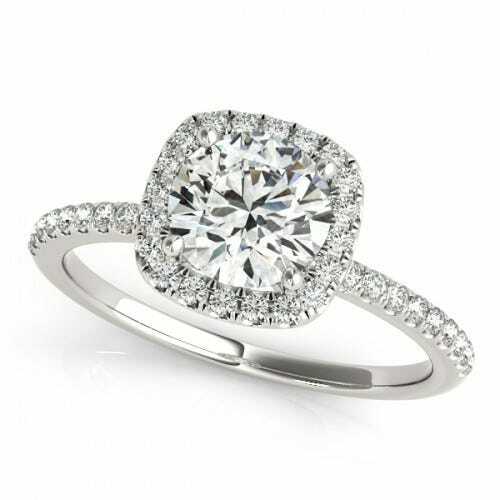 The shape of the stone refers to whether the stone is a round cut diamond, princess cut diamond, cushion cut etc. 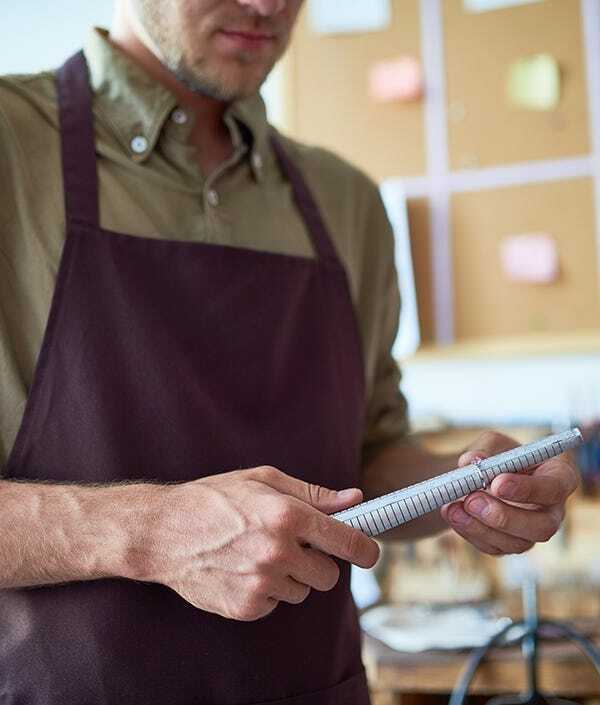 A diamond’s cut is actually an assessment of the skill of the artisan who plans, maps and hand cuts the facets on each individual diamond which is the most important factor in determining its quality in terms of fire, brilliance, and scintillation. 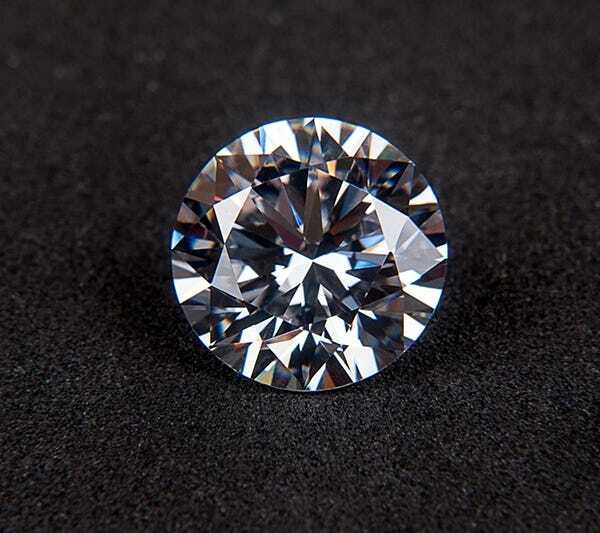 Essentially, the cut of a diamond determines how effectively light that enters the stone is refracted within and reflected back through the top of the diamond. Factors such as proportion, symmetry, and polish affect the quality of the diamond: the closer they are to perfect, the better the diamond will perform in terms of fire, brilliance and scintillation. All Clean Origin lab created Diamonds are graded with a “very good” or “better” cut grade ensuring you are receiving among the best stones available. When we talk about color in diamonds we actually are talking about the absence of color. The color of a diamond is graded on an alphabetical scale starting at D and ranging all the way down to Z with D being a colorless diamond and Z being yellow. The yellow in a diamond can actually leach the sunlight and minimize the stones light refraction and sparkle. 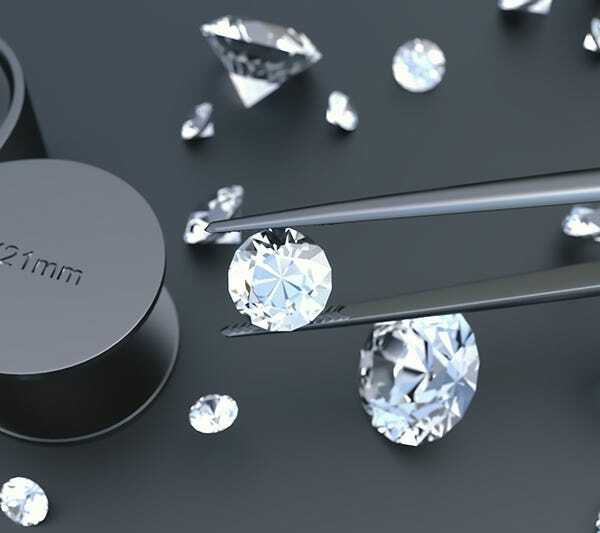 Clean Origin’s lab created Diamonds occupy the top seven color grades between D and J ensuring you the confidence of buying a stone for your jewelry that will always be dazzling. Fluorescence refers to the degree of luminescence exhibited in certain diamonds when exposed to ultraviolet light or strong sunlight and these diamonds will actually glow blue under these conditions. Strong or very strong fluorescence may even make a diamond appear to have a milky or oily sheen on its surface. Not a great thing in an engagement ring. Thanks to the controlled conditions under which Clean Origin lab created Diamonds are crafted our stones do not possess any fluorescence and will never glow blue when you take a walk in the park on a summer day. Clarity measures the incidence of natural inclusions or imperfections found in a diamond. Diamonds graded SI2 or better generally appear “eye clean” meaning that without a jewelers loupe of 10x magnification. Diamonds graded below SI2 usually possess eye visible imperfections, meaning that the unaided eye can easily discern the various blemishes in the stone. When grading, clarity characteristics are usually divided into two categories. Inclusions imperfections that occur naturally inside the diamond itself. These were formed miles below the surface, when the diamond was formed under intense heat and pressure. Blemishes imperfections that occur on the surface of the diamond and occur during the cutting and polishing process. 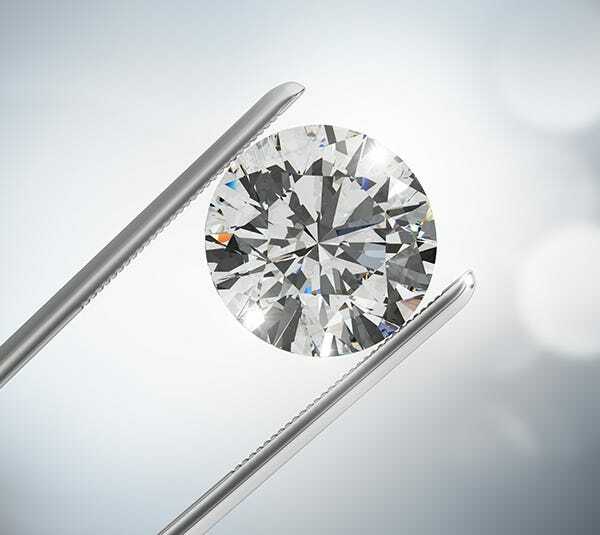 A diamond’s clarity is determined by the number, size, type and placement of the inclusions, such as tiny white points, dark dots, or feathery cracks naturally found in the diamond. Clean Origin Lab Created Diamonds are always SI2 or better in clarity giving you a stone that you can proud of on every level! Carat refers to the actual weight of a diamond and is a unit of measure equal to 0.2gm. 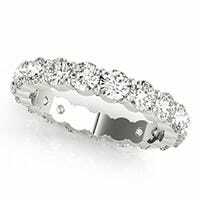 In all diamonds, size is a large contributor to the price of the stone. This means that the price of a diamond will increase exponentially as the carat size of the diamond increases. For many of us this means that we are not able to purchase a larger stone that may better represent the deepness of our feelings for the person we love. Thankfully, you are considering a Lab Created Diamond from Clean Origin. We take great pride in exclusively offering exquisite Lab Created Diamonds with amazing sparkle and brilliance at a significantly lower price than the mined diamonds, allowing you to stay within budget and still get a huge WOW with your engagement ring or other jewelry.